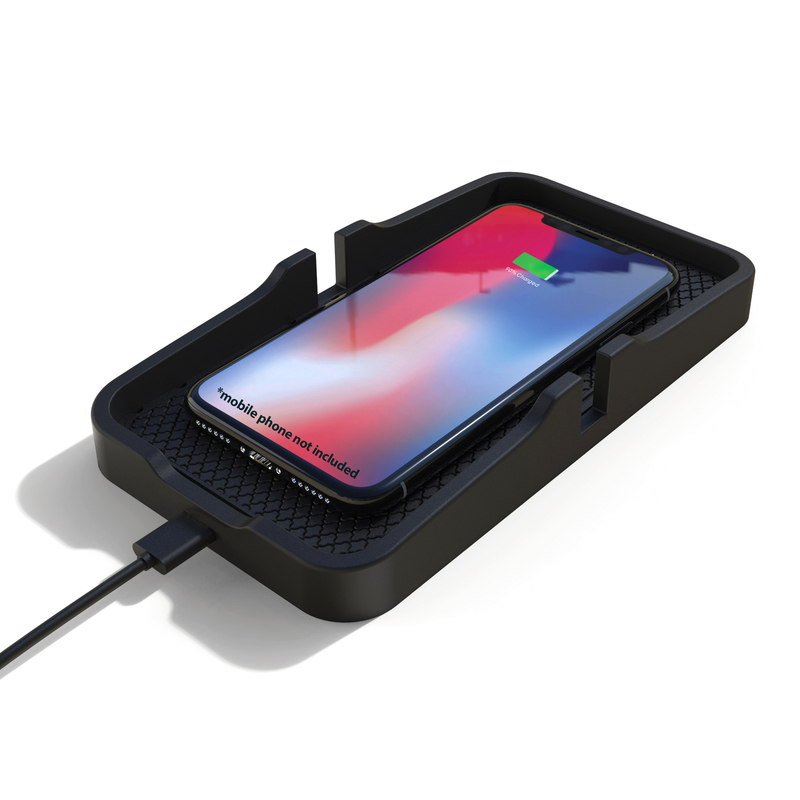 Aerpro AP10QI Anti-slide Wireless Charging Pad For Home or Car Use works well with Qi-enabled hand-held devices such as Samsung S7/S7 Edge, S8/S8 Edge, iPhone 8, iPhone 8 Plus, iPhone X, among others. Comes with over voltage/temperature protection, AP10QI automatically pinpoints charging protocols enabling it to deliver the fastest wireless charge possible. It also sports a non-slip charging base that holds the phone steady at all times.